6:00 PM - CD Release Party with Interview by Chris Becker, author of Freedom of Expression: Interviews with Women in Jazz. 7:00 PM - 18th Annual Trinity Jazz Festival, celebrating Women in Jazz. Opening Act: Houston Jewels of Jazz, featuring vocalists Yvonne Washington, Mickey Moseley and Ermelinda Cuellat, with Erin Wright- bass; Bob Henschen- piano. 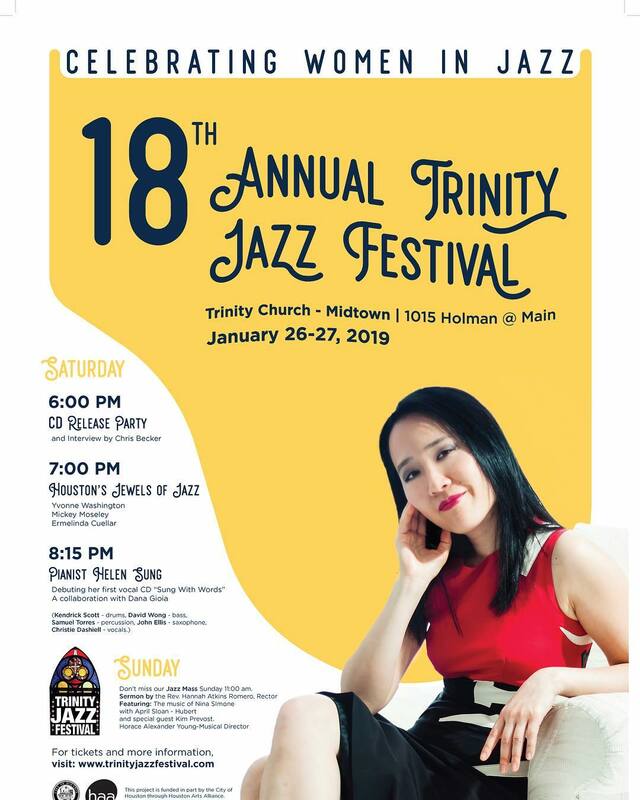 Headliner: Pianist Helen Sung, debuting her first vocal CD, Sung With Words, and her New York quintet: Kendrick Scott - drums; David Wong- bass; Samuel Torres-percussion; John Ellis- saxophone; Christie Dashiel, vocals. Eleanora Fagen: b. April 7, 1915. d. July 17, 1959.
or Charles Dickens. Born in 1915, Fagan would take the stage name Billie Holiday and change the course of American music. 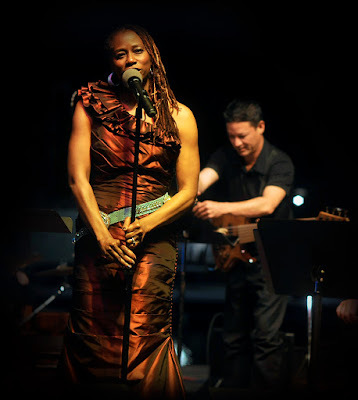 Houston singer and bandleader Jacqui Sutton premieres her new project "Un-Cross Talk: Jazz and Blues Slip n' Slide Together Houston Style" at MATCH, March 16 and 17. "Un-Cross Talk" is described as "a semi-theatrical, multi-media immersive musical experience that seeks to make urban and rural America talk 'with' one another, instead of 'across' from each other; hence the title 'Un-Cross Talk.'" Sutton is one of the 37 musicians I interview in my book Freedom of Expression: Interviews With Women in Jazz. Here is the introduction to and an excerpt from that conversation. 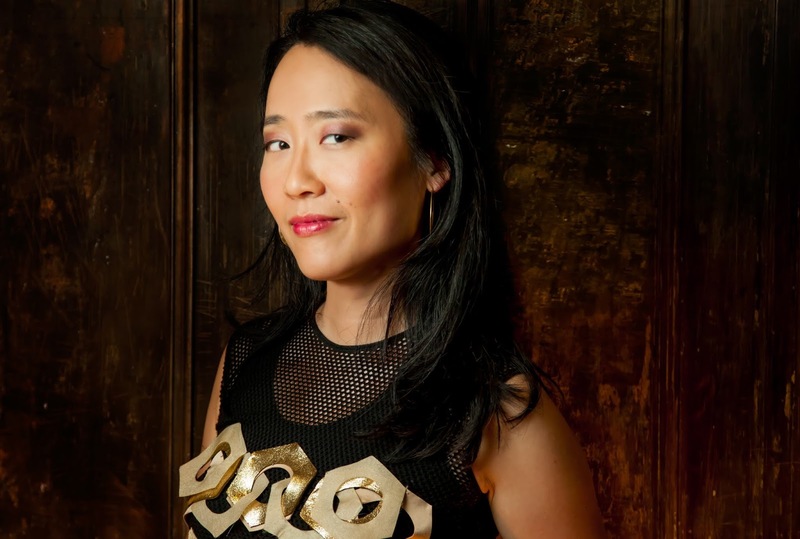 describes as “a stylistic mash-up of jazz, bluegrass, and orchestral/chamber music.” Sutton’s singing is similarly multifaceted and sits comfortably in an ensemble that forgoes traditional jazz instrumentation to include banjo, cello, and hand percussion. In addition to being just fun to listen to, Sutton’s conceptual approach to music making is part of a continuum of jazz as once described by the great Jelly Roll Morton as a music that uses ideas drawn from operas, symphonies, and overtures. Add Appalachian ballads, country music, and rural blues to that list and you get an idea of what Sutton and her band, the Frontier Jazz Orchestra, are able to pull off on record and in live performance. Finding one’s voice can mean finding the threads that tie together seemingly disparate influences in a way that transcends modern-day pastiche and resonates with a similarly diverse cross-section of listeners. Here’s a quote from you I got from your biography. I’m taking it out of context. “In many ways, I feel grateful that I’ve discovered my voice now rather than when I was in my 20s. All those years languishing in oblivion forced me to respond to music in a more mature way.” Can you talk to me a little more about discovering your voice now as opposed to when you were in your 20s or right out of high school? While I was going through it, I was incredibly frustrated. I didn’t think I would ever be a singer or put something together like the Frontier Jazz Orchestra. With the exception of studying flute as a kid—I had a very short career on the flute in elementary school—I didn’t study music. I didn’t study in high school, I didn’t study in college. I didn’t really start to study until I was like 23 or 24. I have a low speaking voice. I auditioned for this vocal jazz ensemble called Jazz Mouth and I got in; I don’t know how! I still to this day don’t know how Molly Holm cast me in that jazz ensemble. But she said, “Okay, now you gotta study!” So I did, but I kept getting miscast as an alto, because of my speaking voice and because I didn’t know any better. I was always trying to sing as an alto, and doing that gave me a lot of bad habits. So after about 10 years of studying, I moved to New York in my mid-30s and found a voice teacher who said, “You are a soprano. Now we don’t know what kind of soprano. Yet. 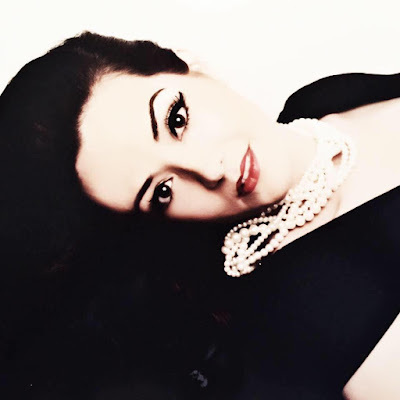 But you’re a soprano.” [laughs] So I had to retrain. While I was singing, I was also an actor. I did classical theater, I did Shakespeare, and I did a lot of musical theater and experimental theater. Once I discovered acting, I said, “You know, acting is so much more rewarding and I’m frustrated with singing.” So I dropped singing and did acting for many years. It wasn’t until I moved to New York in the mid to late 90s that I took up voice again. And that was when I discovered I was a soprano. After I moved here to Houston, I met my voice teacher, Cynthia Clayton. Cynthia sings with the Houston Grand Opera and she teaches as well. She’s a professor of vocal performance at the University of Houston. She got my voice to open up more. It wasn’t until I started studying with Cynthia that I enjoyed singing. Before then it was all terror. Something drove me to do it, but it was always terrifying, so I never had any confidence. While studying with Cynthia, I released my first CD, Billie and Dolly. So finding a teacher who understood your voice and how you should sing, did that coincide with you beginning to explore repertoire that includes both Billie Holiday and Dolly Parton? And did singing that material help you with the process of finding your voice? That’s a good question. I think it was all kind of happening at the same time. I had been listening to jazz and bluegrass since I was in my early 20s. Both of the sounds had always been in my head. I think a lot of frustration I felt was because I didn’t want to be pigeonholed into either. Each style seemed to have a specific vocal approach that I was not sure how to handle. So I didn’t really pursue it. I will tell you that the songs I selected for Billie and Dolly were all songs I always liked personally. From Dolly Parton’s “Endless Stream of Tears” to Billie Holiday’s “God Bless the Child” to “A Sleepin’ Bee.” “A Sleepin’ Bee” is a song that my teacher in New York tortured me with! I loved it so much but I didn’t have the chops to sing it. And when I finally got the chops to sing it, I said, “I want to do this song!” And it actually fit! It fit as a Frontier Jazz song. So my repertoire includes songs that I’ve been singing forever but had just been technically trying to master. Others are songs that I just emotionally connected with. Is there a bridge, some commonalities between jazz and bluegrass that you use in your singing? First of all, they’re both uniquely American art forms. There is precedent for the two forms making out! [laughs] Making out musically! They’ve been on parallel tracks in my head for so long that I did not ever want to separate them. But I can tell you that people get very confused when I say I’m blending jazz and bluegrass together. One reviewer said (and I’m paraphrasing), “It’s curious on paper, but it makes total sense once you hear it.” And I think that’s what’s been part of the trajectory is getting people to understand that these two musical forms have a lot in common. A Brief HERstory of Jazz: The Singers at The Jung Center of Houston, March 28, 7:30 p.m. This presentation is designed for both casual and seasoned jazz fans. The cost is $20 / $15 for Jung Center members. You can register in advance by phone (713- 524-8253) or online. "I always went into musical situations with no chip on my shoulder . . . You hope that the color of your skin doesn't prevent you from getting a job or that being a man or woman doesn't. It does sometimes. . . . I can name some gigs I got because I am a woman, and some gigs I did not get because I am a woman. Mindi Abair & The Boneshakers LIVE at Jazz Alley in Seattle performing Jimi Hendrix's "Voodoo Child". On Wednesday, June 28 at 7:30 p.m. at The Jung Center of Houston, I will present a lecture with live music by saxophonist Alisha Pattillo and pianist and singer Pamela York. My lecture, titled "A Brief HERstory of Jazz," will focus on three pioneering female jazz musicians: pianist, singer and composer Lillian Hardin, pianist and composer Mary Lou Williams, and pianist, harpist and composer Alice Coltrane. Portions of my lecture will be include live musical accompaniment by Pattillo and York. The cost is $20 / $15 for Jung Center members. You can register in advance by phone or online. I am really looking forward to this, and very proud to be a part of The Jung Center of Houston's summer programming. "Discover the untold feminine past, present, and future of jazz in this revelatory lecture by musician and writer Chris Becker, author of Freedom of Expression: Interviews with Women in Jazz, with live music performed by Houston jazz artists Pamela York and saxophonist Alisha Pattillo. 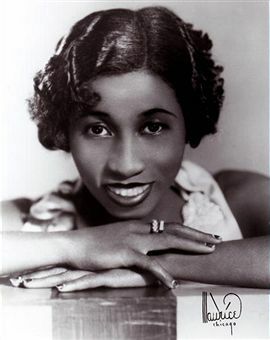 We will learn about the groundbreaking women who made crucial contributions to the development of jazz, from bandleader Lillian Hardin, who brought Louis Armstrong into the national spotlight, to pianist and composer Mary Lou Williams, whose repertoire spans seven decades and nearly every style of jazz one can imagine. This engaging presentation is designed for both casual and seasoned jazz fans."